The Bayway Refinery, located on New York Harbor in Linden, N.J., has a crude oil processing capacity of 238 MBD and processes mainly light, low-sulfur crude oil. Crude oil is supplied to the refinery by tanker, primarily from the North Sea, Canada and West Africa. Bayway refining units include one of the world’s largest fluid catalytic cracking units, two hydrodesulfurization units, a reformer, alkylation unit and other processing equipment. The refinery produces a high percentage of transportation fuels, such as gasoline, diesel fuel and jet fuel, as well as petrochemical feedstocks, residual fuel oil and home heating oil. The facility distributes refined products to East Coast customers via barges, trucks, pipelines and railcars. Bayway also operates a 775 MMLB/Y polypropylene plant. Bayway is the northernmost refinery along the U.S. Atlantic Basin. Bayway Refinery's nickname, "The Gasoline Machine," is derived from its gasoline-making fluid catalytic cracking unit, which at 145,000 bpd is the largest in the nation. It has the capacity to supply half the gasoline used in New Jersey, the nation's 11th most populous state. Bayway is the second largest of 12 refineries on the East Coast, and the 25th largest in the United States, according to the U.S. Energy Information Administration. It employs about 800 people at the Linden facility. In 1907 Standard Oil founder John D. Rockefeller acquired several hundred acres of the former Morse family estate between Linden and Elizabeth, New Jersey as the site for the Bayway refinery. Construction of temporary office buildings began on October 15, 1907 and work clearing the heavily wooded land began immediately. The cornerstone of the machine shop, the first permanent structure at the site, was laid on January 18, 1908, and construction continued throughout the year. The first crude stills at Bayway were completed in late 1908 and on January 2, 1909, they were symbolically fired up by William C. Koehler. The facility began processing an initial 10,000 barrels of crude oil per day. Capacity was expanded to an estimated 7,176 barrels per day by 1911. Over the next several years the plant continued expanding and increasing capacity and workforce. In 1911, Standard Oil was broken up into smaller units in accordance the Sherman Antitrust Act. One of these successor companies was Standard Oil Company of New Jersey, the precursor to Esso and later Exxon, which retained the ownership of the Bayway facilities. In 1993, the Tosco Corporation finalized proceedings to purchase the refinery from Exxon for a sum of $175 million, although the Exxon Chemical Company continued to run the Chemical Plant. During this time Bayway was operated by Bayway Refining Company, a wholly owned subsidiary of the Tosco Corporation. Under the direction of Tosco, Bayway was able to reorganize and upgrade the facility, and years of operating at a loss for Exxon in the later 1980s were turned around swiftly. Tosco was bought in 2001 by Phillips Petroleum, which merged with Conoco to form ConocoPhillips in 2002 and later spun-off downstream, midstream and chemical assets into a new Phillips 66 company in 2012. Reuters reported on January 3, 2018 that Phillips 66 shut a crude and coking unit at its Wood River Refinery after a line froze followed by a brief fire, according to a source. Phillips 66 does not currently have a timeline for restarting the units at its Illinois plant, the source said. Refiners along the U.S. East Coast were bracing for difficulties in the next few days. So far, the five refineries along the East Coast including Phillips 66's Bayway Refinery in New Jersey are dealing with frozen pipes and other challenges, but have not experienced any significant outages, according to sources at the plants. “We’ve had a lot of freeze-up but haven’t lost any units. This weekend will be bad,” said a source at Monroe Energy’s 185,000-barrel-per-day refinery outside Philadelphia. Although most refineries, particularly those in northern climates, are designed to operate throughout the winter, increasingly extreme weather conditions in recent years have tested their capabilities. In 2015, more than a third of the U.S. East Coast’s capacity was abruptly shut down due to glitches. KRGV reported on May 25, 2017 that New Jersey officials say they reached a $39 million settlement with Phillips 66 over ground water contamination. Attorney General Christopher Porrino says Phillips 66 (then ConocoPhillips) was one of 50 oil and chemical firms sued in 2007 by the state over ground water contamination. The state argued that the defendants were responsible for contamination from a gasoline additive called MTBE. In 2012 ConocoPhillips transferred some assets and liabilities, including MTBE cases, to Phillips 66. Phillips 66 Spokesman Dennis Nuss says the case was settled on "mutually acceptable" terms. Tap into Union reported on March 24, 2017 that Phillips 66 Bayway Refinery will be sponsoring educational programming around the Union County Falcon Cam bringing no-cost wildlife education programs to administrators, teachers, and students throughout Union County, New Jersey. Thanks to this new partnership, students, scientists, and other wildlife enthusiasts all over the world will have more opportunities to study a pair of rare peregrine falcons that have made their nest on the roof of the historic 17-story Union County Courthouse Tower, located in the bustling center of midtown Elizabeth. “The Phillips 66 company vision is providing energy, improving lives. Our Phillips 66 sustainability efforts are built on four pillars: operational excellence, environmental commitment, social responsibility, and economic performance. Bayway Refinery is proud to demonstrate our social responsibility with the sponsorship of the Peregrine Falcon Educational Programs in Union County. We are excited to be part of a program that will help make learning fun and inspire children within our community,” said Mike Bukowski, Bayway Refinery Manager. New Jersey Suburban News reported on January 9, 2017 that Phillips 66 Bayway Refinery will fund with a $30,000 grant to build an outdoor pavilion and associated activities by Groundwork Elizabeth's Green Team, which will serve as a headquarters for learning about our ecology and the need to preserve nature in our urban communities. "Phillips 66 is proud to sponsor projects that protect and enhance the environment and add benefits to our local communities. We're dedicated to habitat preservation and sustainability in the areas surrounding our operations," said Nancy Sadlon, manager, Phillips 66 Bayway Refinery Public Affairs. Reuters reported on August 30, 2016 that Phillips 66 has cut production by roughly 5 percent at Bayway Refinery amid weak refining margins, according to a source familiar with the refinery's operations. The U.S. gasoline crack spread, an indicator of how much refiners make from converting a barrel of oil into a barrel of gasoline, remains at its lowest level in the past five years. The U.S. diesel crack spread also remains at five-year lows. U.S. and global refining margins have been hurt by historically high gasoline and diesel inventories. Refining executives and analysts across the globe are predicting refiners are going to be forced to scale back production to reduce inventories, balance the market and boost margins. East Coast refineries see some of the weakest margins due in part to their supply constraints, and experts predict they would be among the first to cut runs. Retuers reported on July 7, 2016 that over the last 30 days, estimates for second-quarter earnings have fallen 17 to 20 percent for four of the major U.S. refiners including Phillips 66 as gasoline and diesel inventories stubbornly sit well above five-year averages driving down refiner margins as gasoline inventories remain much higher than they were last year at this time. The U.S. gasoline crack spread 1RBc1-CLc1, a proxy for refiner margins, has dropped 34 percent in two weeks. On July 6, 2016, it hit a five-year low for this time of year of $13.10 a barrel. That is less than half the crack spread of $28 a barrel at this time last year. "An RBOB crack trading 13 bucks in the middle of driving season is unheard of," said one trader. Phillips shut its 150,000 b/d fluid catalytic cracker unit (FCCU) on Wednesday morning after an attempt to restart the unit failed, according to a source familiar with the plant’s operations. The FCCU experienced an issue with a valve and was initially forced to shut down overnight, the source said. The source was not aware of the new timetable to restart the unit. Earlier Wednesday, the company advised the community that flaring may occur as the FCCU restarts, according to a taped recording on the refinery’s community hotline. Phillips said on Tuesday it was planning to modernize the fluid catalytic cracking unit (FCCU) at its Bayway refinery in Linden, New Jersey. The project would include replacing the existing older reactor with modern technology that will increase gasoline and diesel yield by about 4,000 b/d, a company spokesman said. The company further clarified, that the overall unit capacity of the FCCU would remain unchanged at 145,000 b/d. Operations at Phillips 66’s Bayway refinery in Linden, New Jersey were at normal planned levels Tuesday after a failure at a transformer led to a power outage on Monday, according to sources. Phillips announced modernization plans of the fluid catalytic cracking unit (FCCU) at its Bayway, New Jersey refinery, and an upgrade of the vacuum tower at its Billings, Montana refinery. In addition, the company said storage capacity was being added at its Beaumont terminal in Texas and it was investing in the Bayou Bridge pipeline project to move crude from Texas to Louisiana markets. Reuters reported on October 2, 2015 that Phillips 66 is preparing for a big test at Bayway Refinery of whether they learned lessons from Hurricane Sandy as Hurricane Joaquin, a category 4 storm, could land early next week in the Mid-Atlantic region. Phillips 66 elevated power substations and hardened storm doors at a saltwater pump station after Hurricane Sandy forced the company to shut its 238,000 barrel-per-day refinery in Linden, New Jersey for weeks due to electrical issues, Dennis Nuss, a company spokesperson, said on Thursday. Not all the plant’s substations have been elevated, according to a source familiar with the plant’s operations. However, the substations most vulnerable to flooding have been raised, the source said. The company has already secured critical emergency equipment and resources for quicker post-storm mobilization. 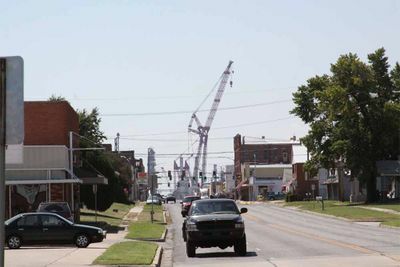 This includes temporary office space, housing, food, fuel and generators, Nuss said. “The safety of our employees and their families remains our highest priority," Nuss said. Houston Business Journal reported on October 30, 2012 that Phillips 66 has reported a power outage at its Bayway refinery. The plant had been shut down as a precaution, but the outage could slow the recovery at the plant. Phillips 66 said there was "some flooding in low-lying areas" of the refinery. Utility PSE&G said power was likely to be restored no sooner than in 24 to 48 hours. The flooding at Bayway, which had been seen by experts as the refinery most vulnerable to Sandy's record 13-foot (4-meter) storm surge and subsequent power outages, is a potential second nightmare for Phillips 66, which had struggled to restore its Alliance, Louisiana, refinery after Hurricane Isaac in August. That storm pushed more than 2 feet of floodwater into the plant. Phillips 66 reported on November 19, 2012 that the Bayway Refinery is expected to resume normal operations by the end of November. Work to repair or replace damaged equipment, primarily electrical equipment impacted by saltwater during the storm surge from Hurricane Sandy, is progressing. The refinery’s processing units are in good condition. The Bayway polypropylene plant will follow the same restart schedule as the refinery. Fox Business reported on November 27, 2012 that Bayway Refinery has resumed normal operations following extensive repair and replacement of equipment impacted by salt water during Hurricane Sandy. Phillips reported it was going to restart the fluidized catalytic cracker unit (FCCU) at its Linden, New Jersey refinery, according to a filing with the National Response Center according to a report from Reuters on September 1, 2015. Phillips unexpectedly shut down a 150,000 b/d fluid catalytic cracker unit (FCCU) at its Bayway refinery in New Jersey on Friday, the second gasoline-making unit on the East Coast to experience an unexpected outage at a time of high demand at U.S. gas pumps. PBF Energy Inc was forced to shut a 65,000 b/d catalytic cracker a week ago at its 182,000 b/d Delaware City, Delaware, refinery for up to a month due to a compressor fire. Together, the two units account for roughly 40 percent of the overall catalytic cracking capacity on the East Coast, according to the U.S. Energy Information Administration (EIA). 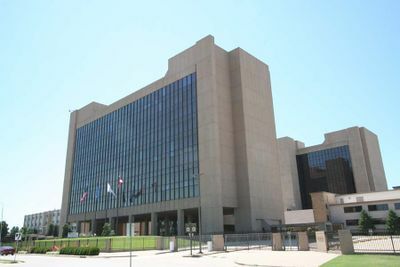 The FCCU at Bayway was shut down on Friday morning after workers discovered a leak, the source said, adding that it was not known how long the outage would last. U.S. production of finished gasoline fell nearly 500,000 b/d last week after hitting a record high 10.3 million b/d the week before, according to the EIA data, reflecting impacts from a series of refinery outages according to report from Reuters on August 28, 2015. Genscape reported on August 28, 2015 that Phillips unexpectedly shut down a 150,000 bpd Fluid Catalytic Cracker at Bayway Refinery due to a leak accordinng to someone familiar with operations at the refinery. Genscape reported that operations at Bayway Refinery remained normal at 953 am on August 28, 2015 but a source said this was because the unit was coming down at the time and flaring would occur shortly. Officials at Bayway Refinery are still assessing the problem and a restart time is currently unavailable. Phillips did not immediately respond to a request for comment. Phillips will keep a powerformer shut at its Bayway refinery in Linden, New Jersey as it fixes a leak that was discovered on Friday, according to a person who is familiar with the plant’s operations. The powerformer unit was shut on Friday after the leak was discovered. The unit is expected to be shut for a couple weeks while the leak is fixed. There is no impact to other units at the refinery, the source said according to a report from Reuters on August 11, 2015. According to a source, Phillips shut a powerformer unit Friday at its Bayway refinery in Linden, New Jersey, according to a source familiar with the plant’s operations. The 28,000 b/d unit was shut after a leak was discovered and officials were assessing damage, the source said according to a report from Reuters on August 7, 2015. According to a source, Phillips shut a 58,000 b/d hydrotreater associated with its fluid catalytic cracker Friday at its Linden, New Jersey refinery after a leak was discovered, according to a source familiar with the plant’s operations. The leak was first discovered Thursday but the unit was not shut down until Friday, the source said according to a report from Reuters on July 17, 2015. Greg Garland announced during the 2015 first quarter earnings conference call that the Atlantic Basin had lower earnings mainly due to plant maintenance at the Bayway refinery. The Union of Concerned Scientists sent a letter to Phillips 66 on February 25, 2015 expressing concern about the lack of public disclosure of physical risks due to climate change at Phillips 66’s coastal refineries. "As you are aware, Superstorm Sandy caused a 7,770 gallon oil spill at the Bayway refinery in 2012. The refinery was shut down for several weeks due to flood damage, and incurred significant maintenance and repair expenses," says the leter. "Risk of such events in the future is likely to grow. Diminished refining utilization rates, downtime or closure of facilities due to direct damage, danger to employees, releases of environmental contamination, disruption in supply chains and distribution centers, and/ or power supply due to storm surge or sea level rise could have a material impact on production and related cash flows." Phillips restarted the crude unit after unexpected delays at its Bayway refinery in Linden, New Jersey, a person familiar with the facility's operations said on Tuesday. The restart of the crude unit was expected to begin on Monday, but previous attempts to restart the unit met with problems, including frozen lines. The company planned on shutting down the unit for about a week of planned maintenance on February 4. Phillips experienced delays due in part to the winter freeze on Friday in restarting a crude unit at its Bayway refinery in Linden, New Jersey. The unit had been shut for around a week of planned maintenance on February 4. The company plans on restarting the unit today, a source said Monday. New Jersey reported on January 29, 2015 that Phillips 66 has donated $29,000 to purchase replacement mobile and portable paramedic radios that communicate with all the local towns to enhance communication during responses to the community. Phillips plans to overhaul the 150,000 b/d fluid catalytic cracking unit (FCCU) at its refinery in Linden, New Jersey, in 2016, as part of a broader goal to increase diesel production by as much as 25 percent. The overhaul will include construction of a new reactor for the FCCU and is expected to begin in the third quarter 2016. CBS reported on October 20, 2014 that police, firefighters and a hazmat team responded to the Infineum plant inside the Bayway Refinery Complex around 8:30 a.m. on October 20, 2014 and contained a chemical leak. In a statement on the company’s website, the plant said a 25 percent concentration of ethylaluminum dichloride in a hydrocarbon oil was released and plant employees were ordered to shelter in place. Police said the leak did not pose a threat to the surrounding area. Authorities sent a message to neighbors letting them know to close their doors and windows. “No injuries have been reported, and there is no health or safety impact either at the site or within the community,” said Infineum USA Spokesperson Lissette Gonzalez. “Crews that were dispatched to monitor the fenceline and surrounding areas did not detect any odor or hydrocarbon concentrations.” Ethylaluminum dichloride is a clear, yellow liquid that turns into fumes when it hits the air. It is used as a catalyst to make other chemicals like fuel additives and the chemical can irritate the nose, eyes, skin and throat and is highly flammable and reactive. There is no word on what caused the leak. Reuters reported on September 3, 2014 that Greg Garland told analysts at the Barclays CEO Energy-Power Conference that Bayway Refinery in Linden, New Jersey, received its first crude-only train at the plant's newly expanded offloading system. The system can take up to 70,000 bpd, in addition to up to 75,000 bpd from a joint venture with Global Partners. Phillips 66's 30,000-bpd offloading system at Ferndale Refinery is also on track to start up in the fourth quarter. New Jersey reported on June 10, 2014 that Trinitas Health Foundation honored Phillips with a Philanthropy Award at the Trinitas Health Foundation’s “Passion for Our Patients” Gala. Gary Horan, FACHE, President and Chief Executive Officer noted, "Phillips 66 Bayway Refinery exemplifies how philanthropy connects a community. Throughout our partnership, they have helped financially including generous assistance to acquire a digital endoscopy scanner, breast health imaging equipment, C.O.R.E. (Center of Regional Education) Building Project, Outpatient Electronic Medical Records Project, Emergency Department Patient Cardiac Monitors Upgrade Project, and with in-kind donations of office furniture for the Women's Clinic. They've also answered patients' direct needs with donations of clothing and toys. We are thrilled to honor Phillips 66 at the Gala." George Bochis, vice president of development for Pilgrim, said the company is “disappointed that these groups are opposing the project without meeting with us. We would be happy to meet to provide additional information. “We are surprised that these groups prefer the status quo when this project could provide a safer, more environmentally friendly and efficient means to transport these products." Garland reported during the first quarter earnings call that a 70,000 barrel per day rail rack is expected to come online in the second quarter. Greg Garland told security analysts at the Credit Suisse Global Energy Summit on February 12, 2014 that Phillips has the rail rack at Bayway and plans to move 75,000 barrels a day to the refinery later this year. Bloomberg reported on November 8, 2013 that according to a person familiar with operations, Phillips' Bayway refinery is two or three weeks behind schedule on their turnaround that began in October and was expected to last 40 days. The turnaround included work on the fuel-gas, isomerization and catalytic cracking units. Rich Johnson, a spokesman at Phillips 66’s headquarters in Houston, said maintenance was under way at Bayway but didn’t comment on when the work might be finished. Catalytic crackers upgrade oil feedstock to produce higher-value, lighter products such as gasoline. Isomerization units make unleaded gasoline components to improve the octane level of the fuel. Garland told analysts at the third quarter earnings conference that Bayway is a great asset and a challenged market. "But when we look at our assets around the Midcontinent and Gulf Coast, we think those are pretty good assets, and long-term those assets will probably be in our portfolio, because if we think about West Coast and East Coast and U.S, it is not necessarily true, Atlantic Basin is a very challenging place if you well know," said Garland. "If you look at that, 30,000 feet the market that we are in North America and Europe aren't going to be growing market, in fact they're probably declining markets. And so the opportunity to employ capital and make a good return on that is just more difficult. I’d rather move into the higher valued businesses in midstream in chemical and we have been pretty consistent about that. But we are always going to look at our portfolio and optimize the portfolio." Reuters reported on October 30, 2013 that Garland told analysts during the third quarter earnings conference call that Bayway refinery had been running about 100,000 barrels per day of U.S. crudes in place of imports - from Texas via tanker and North Dakota's Bakken via rail and barge but the company cut rail shipments to 30,000 bpd day when the discount of U.S. crude benchmark West Texas Intermediate to London's Brent all but dried up during the quarter. The discount of North Dakota Bakken crude to WTI also narrowed. However, Phillips 66 is ramping rail shipments back up and running less imported crude now that the spread has widened to more than $10 a barrel. "The spreads now incent us to run Bakken at Bayway today," said Tim Taylor, executive vice president for commercial, marketing, transportation and business development, in a post-call interview. Phillips 66 is building a new rail offloading facility at Bayway to further increase shipments by 75,000 bpd by the second half of 2014. The WSJ reported on July 18, 2013 that planned maintenance on unspecified equipment at Phillips' Bayway Refinery had been concluded. Phillips spokesman Rich Johnson said he wasn't able to comment on the scope of the work, when it started, or the unit, or units, involved. Phillips reported normal operations at its Bayway refinery on April 22 following a power dip that affected several unspecified units on April 19, 2013. The Star Ledger reported on February 19, 2013 that David Erfert, Phillips 66 Bayway Refinery Manager, presented a check on behalf of Phillips 66 to Suzanne Lutz of the North Jersey Region of the American Red Cross to assist with hurricane relief efforts following Superstorm Sandy. "The American Red Cross is extremely grateful for Phillips 66’s generosity to support our work helping those impacted by Superstorm Sandy," said Lutz. Greg Garland told analysts at the 4th quarter earnings conference on January 30, 2013 that Phillips utilization rate was negatively impacted by Hurricane Sandy related unplanned downtime at the Bayway refinery as well as the turnarounds at the Wood River Refinery, Los Angeles Refinery and Borger Refinery. "In refining and marketing, our refining realized margin was $13.67 per barrel with a global crude utilization rate of 91% and a clean product yield of 83%," said Garland. "Lower volumes negatively impacted earnings by $42 million, mainly in the Atlantic basin and the Central Corridor regions, reflecting unplanned downtime due to Hurricane Sandy and plant turnarounds." Businessweek reported on November 26, 2012 that Phillips reported emissions associated with an equipment startup when more than 500 pounds of sulfur dioxide flared at the Bayway refinery on November 25, 2012. The unit was undergoing repairs and maintenance following Hurricane Sandy. Reuters reported on November 5, 2012 that according to the US Coast Guard about 7,700 gallons of fuel spilled from the Bayway Refinery after Hurricane Sandy. Reuters reported on November 2, 2012 that a source familiar with refinery operations Bayway refinery is weeks away from restarting due to heavy damage caused by salt water flooding into the facility from the neighboring Arthur Kill during Hurricane Sandy. Work is underway on one of the two docks where the pumps were ruined by salt water. Estimates for one dock to return to service and receive product are for next week, the source said. The Phillips 66 website reported on November 2, 2012 that the refinery remains temporarily shut down at this time while we continue to clean up, assess equipment and begin to make necessary repairs. A decision regarding when the refinery will be able to resume crude oil processing operations will be made once all assessments are complete. Chief Financial Officer Greg Maxwell reported at the Phillips Third Quarter Earnings Conference on October 31, 2012 that before Hurricane Sandy made landfall in the Northeast Phillips safely idled the Bayway refinery and shut down the terminals as a precautionary measure. "There was some flooding in low-lying areas of the refinery but flood waters have since receded. And as of this morning power has been restored at Bayway. We are currently assessing the condition of the assets. And a decision on resuming operations will be made once this assessment is complete." Chief Financial Officer Greg Maxwell reported at the Phillips Third Quarter Earnings Conference on October 31, 2012 that Phillips is delivering 30,000 to 40,000 barrels per day of advantaged crude to the Bayway refinery by rail.Time Taylor, Phillips head of EVP Commercial Transportation, Business Development and Marketing, added during the question period that on average it costs Phillips $2 to $3 a barrel to move crude to Bayway by rail. Asked if there was a significant increase in moving crude to Bayway by rail from the 2nd to the 3rd Quarter, Taylor said there had been an increase. ". I can't remember the exact increase but we're increasing that. As you can guess we're continuing to, so to speak, test the limits. And we can go substantially higher. I think the challenge for us is to continue to work logistics and get more and more of that into the Bayway refinery." Reuters reported on October 28, 2012 that Phillips had begun shutting its Bayway Refinery in Linden, New Jersey in preparation for Hurricane Sandy. "A significant storm surge is predicted for coastal areas in New Jersey and New York, and as a precaution, we are in the process of temporarily shutting down the 238,000 barrel-per-day Bayway Refinery in Linden, N.J. We expect the refinery to be completely shut down by early Monday morning. Our Riverhead, N.Y., and Tremley Point, N.J., terminals also have been temporarily shut down. Our Linden terminal remains open at this time but will be shut down by Monday morning. Decisions regarding restarting these operations will be made once the storm has passed and post-storm assessments have been completed." Reuters reported on October 26, 2012 that Oil refineries along the U.S. Atlantic Seaboard on Friday braced for Hurricane Sandy, putting in place emergency plans ahead of the storm's expected landfall in the Northeast early next week. Phillips 66, owner of the 238,000 bpd Bayway refinery in Linden, New Jersey, said it is monitoring the storm. "All of our East Coast operations continue to operate normally while we prepare our facilities for the storm," said Rich Johnson, a spokesman for the company. NewJersey.com reported on August 27, 2012 that a hazmat team from Union County was called to the Phillips 66 Bayway Refinery after a routine flaring operation led to problems with a compressor. New Jersey's Department of Environmental Protection contacted the county, asking that the hazmat team collect air samples. They found "no unusual activity," said Tina Casey, a county spokeswoman. The flaring process is a common stopgap measure in which raw materials are burned off in the open air. The resulting flames can be seen atop the plant's towering exhaust pipes, visible in nearby communities and from nearby highways. Phillips reported during their second-quarters earnings report on August 1, 2012 that Phillips wants to move the shale crudes from 120,000 to ultimately 450,000 to 460,000 barrels a day and has a plan to get advantaged crude into most of Phillips' refineries. "We are trying to get those crudes to every refinery we can," said Phillips CEO Greg Garland adding that Phillips can probably move 100,000 barrels a day of shale type crudes into Bayway. Reuters reported on Phillips second-quarters earnings report on August 2, 2012 that the Bayway Refinery is "absolutely" more likely to stay in the company's portfolio if Phillips 66 can increase the amount of Bakken crude the refinery runs, backing out other more expensive crudes. Bayway can run run up to 100,000 bpd of light crude and Phillips plans to rail Bakken crude to Bayway and to its Ferndale Refinery. Phillips 66 plans to buy 2,000 railcars to move cheap crude from North Dakota's Bakken shale play to it Bayway Refinery and to its Ferndale Refinery. On May 2, 2012, executives and employees from Phillips 66 celebrated the company's first week of regular trading on the New York Stock Exchange by ringing the opening bell at the New York Stock Exchange (NYSE) with Phillip 66 Chairman and Chief Executive Officer Greg C. Garland leading the delegation, which included employees from Phillips 66' Houston Headquarters and employees from Phillips 66 Bayway Refinery in Linden, NJ. Garland told Reuters on May 1, 2012 that Phillips 66 plans to keep the Bayway plant and its foothold in the East Coast refining market. "It's a good machine. It should be the last refinery standing in PADD I," Garland said. 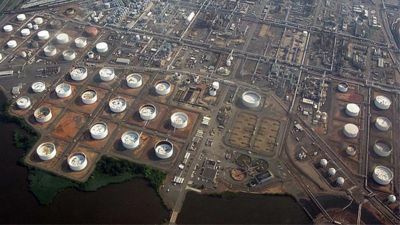 NJ.com reported on November 17, 2011 that Bayway Refinery faces a challenge: The crude oil it refines is more expensive than crude oil in other parts of the country, a dynamic that already led to the sale or closure of several East Coast refineries this year. Nearby plants owned by other companies also have been on the chopping block, including two Sunoco plants — in Philadelphia and Marcus Hook, Pa. — that will be sold or closed. "What you’re seeing is a lot of refineries shutting down in this region," said Hamza Khan, an analyst at the Schork Report, which covers energy markets. "Sunoco is pulling out. A number of refineries are shutting down on the East Coast. The onus is either shut down or sell." However Bayway Refinery may have an advantage due to upgrades over the years. "They’re continuing to operate Bayway, and I think Bayway is a little more sophisticated," said Tom Kloza, the Wall Township-based chief oil analyst for the Oil Price Information Service. "A complex refinery can use cheaper, heavier sour crude." Because Bayway can handle a variety of types of crude, Kloza said, it probably could survive. "It’s in a strategic location, and for most of the years I’ve seen it make money," Kloza said. "I think most people take them at their word that they’re not making any money at their Pennsylvania refinery." Kloza said ConocoPhillips has a list of five or six refineries that are candidates for sale or closure. 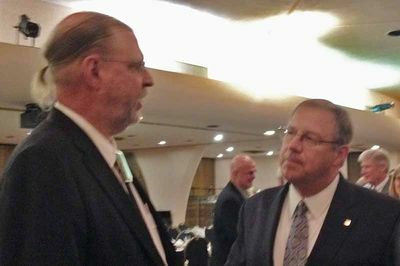 "I’ve heard varying reports of whether Bayway is on the list or not," Kloza said. "That is one that’s on the bubble." ↑ NJ.com "ConocoPhillips' Bayway Refinery in Linden one of a dying breed on East Coast" by Elliot Caroom. November 11, 2007. ↑ Wikipedia. "Bayway Refinery" retrieved September 12, 2012. ↑ Reuters. "Winter storm challenges U.S. East Coast energy complex" January 3, 2018. ↑ KRGV "New Jersey reaches $39M settlement with ConocoPhillips" May 25, 2017. ↑ Tap into Union. "For Immed. Release: Phillips 66 to sponsor Union County falcon cam, education" March 24, 2017. ↑ New Jersey Suburban News. "Phillips 66 Bayway Refinery awards $30K grant for outdoor activities" January 9, 2017. ↑ Reuters. "Cruel summer for U.S. refiners as margins tank" July 7, 2016. ↑ Reuters. 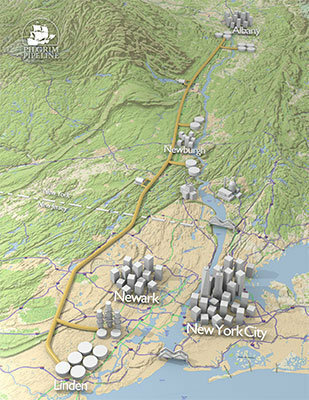 "East Coast energy infrastructure braces for biggest post-Sandy test" by Jarrett Renshaw. October 2, 2015. ↑ Houston Business Journal. "Sandy knocks out power to Phillips 66 refinery" by Olivia Pulsinelli. October 30, 2012. ↑ Reuters. "UPDATE 6-Outages, floods hit two N.J. refineries; others restart" October 30, 2012. ↑ Phillips 66. "Hurricane Sandy Update #11" November 17, 2012. ↑ Fox Business. "Phillips 66: Bayway Refinery in Linden, N.J., Resumes Normal Operations" November 27, 2012. ↑ Genscape. "Phillips Shuts 150,000 bpd FCC at Bayway refinery in NJ" August 28, 2015. ↑ Union of Concerned Scientists. "Letter to Phillips 66" February 25, 2015. ↑ New Jersey. "Phillips 66 awards $29,000 grant to RWJ Rahway" January 29, 2015. ↑ CBS New York. "Chemical Leak Contained At Refinery In Linden, NJ" October 20, 2014. ↑ New Jersey. "Trinitas Health Foundation honors Phillips 66 with Philanthropy Award" June 10, 2017. ↑ Trinitas regional Medical Center. "Phillips 66 to be Honored at Trinitas Gala" March 26, 2014. ↑ New Jersey Star-Ledger. "38 organizations join forces to oppose proposed oil pipeline between Albany and Linden" by Ben Horowitz. May 20, 2014. ↑ Seeking Alpha. "Phillips 66's CEO Discusses Q1 2014 Results - Earnings Call Transcript" April 30, 2014. ↑ NewJersey.com "Oil pipeline proposed in North Jersey through Highlands" by Scott Fallon. April 4, 2014. ↑ Bloomberg. 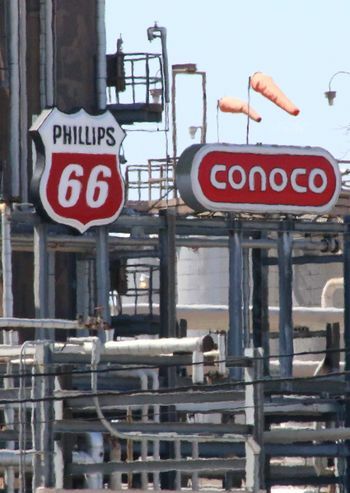 "Phillips 66 Bayway Plant Maintenance Said to Be Behind Schedule" by Eliot Caroom. November 8, 2013. ↑ WSJ. 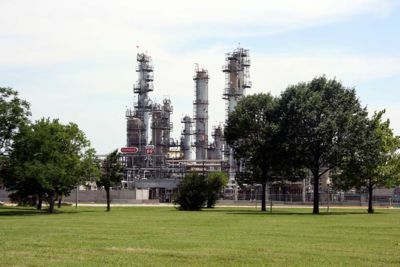 "Phillips 66: Bayway Refinery Maintenance Concluded" by Rose Marton-Vitale. July 19, 2013. ↑ Star Ledger. "American Red Cross receives $500,000 donation from Phillips 66" February 19, 2013. ↑ Businessweek. "Fuel Declines in New York on Phillips 66 Bayway Startup" by Christine Harvey. November 26, 2012. ↑ Reuters. "Phillips 66 Bayway refinery leaks 7,700 gallons oil- Coast Guard" November 5, 2012. ↑ Reuters. "RPT-Phillips Bayway refinery could be weeks away from restart-source" November 2, 2012. ↑ Reuters. "Phillips 66 begins shutdown of Bayway, NJ refinery" October 28, 2012. ↑ Reuters. "Northeast U.S. oil refineries prepare for Hurricane Sandy" October 26, 2012. ↑ NewJersey.com "Hazmat team called to Linden refinery for compressor problem" by Ryan Hutchins. August 27, 2012. ↑ MarketWatch. "Phillips 66 Rings Opening Bell at New York Stock Exchange" May 2, 2012. This page was last modified on 4 January 2018, at 05:32.